From Galway City: Take the main road from Galway city south directly to Oranmore which is approximately 7kms from the city centre. At the roundabout follow the sign for Oranmore and we are located on your right. From Dublin: Take the M4 route off the M50 and continue straight for Galway. Take Exit 19 off the motorway signposted for Oranmore/Limerick. When you come to the roundabout take the 2nd exit and we are located 100 yards on your right. From Cork: Follow N20 to Limerick, then the N18 bypassing Ennis, follow straight into Clarinbridge. At first roundabout follow signs for Galway City until you come to the 3rd roundabout, take exit for Oranmore, first on the left and we are located on your left. Often referred to as the Capital of the West, Galway is a cultural Mecca of sorts, attracting thousands every year to the many lively festivals hosted by the town. Access from main road was difficult due to narrow entrance avenue. We arrived just as two trucks were trying to exit. Reception & Breakfast were outstanding as were the reception and dining room staff. There was a problem with the main bed in the room. This was brought to the attention of the hotel. We are a very mature couple (70+) who both suffer from serious medical conditions. 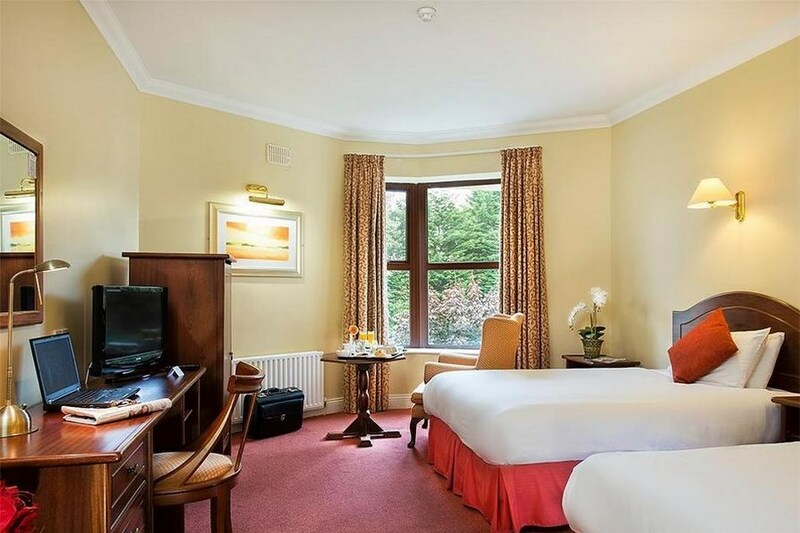 The proximity of the hotel to the Galway Clinic where this writer was undergoing invasive test procedures was the main reason we selected this hotel. Our main disappointment was on bringing our complaint to light there was no subsequent feedback from the Hotel. great value and top class service. Great stay in family friendly hotel. Very good value. Would recommend. Not too good at all. Definitely not a 4* , staff very inexperienced, food ok. Cannot cater for wedding and hotel guests at one time. If you leave bar to go to toilet you can come back to no stool, drink and money gone too on another night. Gave me back same drink even though bar man put fingers into it, picking it up. Breakfast area too small and a free for all, nom organization. Lucky to get 2* from me, never again. Disappointing for a 4 star hotel! Expected better quality. Tap was leaking in bathroom, diner and breakfast were mediocre. But worst of all was the leisure centre experience. The small leisure area with pool filled up with noisy kids and instructors at 4 pm. Parents & kids sitting on the wooden loungers and half of the pool was blocked off for the kids, so no swimming or relaxing possible. Apart from a lovely massage, there was not much left of my relaxing birthday present; we left the place as we couldn't take the noise. Staff could at least have informed us. I stayed here for one night with my husband and child on a bed and breakfast, 2 course evening meal basis. We had a really lovely stay from the pleasant lady on reception checking us in to the lovely room. The hotel was nicely decorated for Xmas, the bedroom was very clean and nice and warm when we arrived, only downside was that the heat went off after a while and the room got cold later in the night. the room also had a microwave, handy if you have young children travelling with you. We ate in the sunroom and it was a beautiful meal, very nice waiter and bar staff. Up and about the next morning to a lovely made to order full Irish. Didn't use the leisure facilities so cannot comment on these. My little girl had such a lovely time at this hotel that she cried when we were leaving and did not want to come home!! My family and I will definitely be staying in this hotel again. If you do not want to drive into the city then about a five minute walk from the hotel, opposite the Supervalu store is a bus stop which goes into the city centre at regular times, we used this service and it was a lot easier than fighting with the traffic into the city and struggling to find a parking space. Lovely comfortable surroundings. Food & service excellent, with friendly staff. Easy walking distance of Oranmore, where there are good alternatives for entertainment. Definitely return. 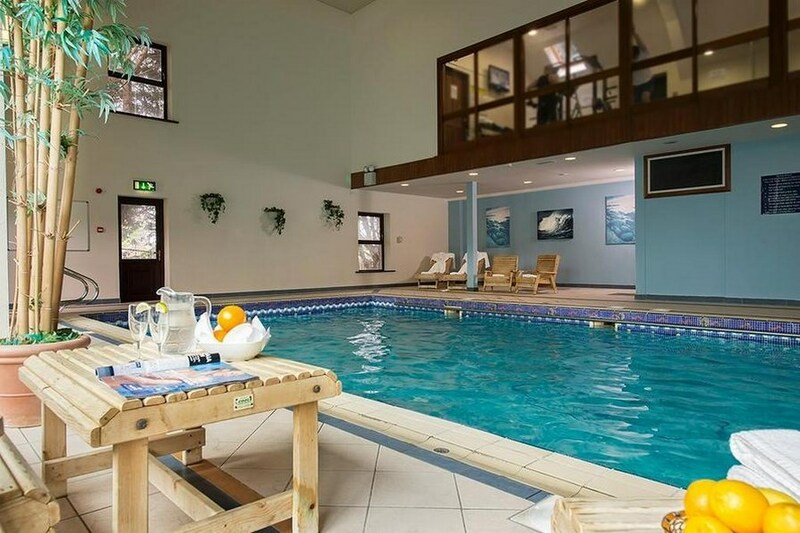 We enjoyed a lovely break recently in the Oranmore Lodge Hotel. The staff were very welcoming, friendly and very efficient and made us feel "at home". We had dinner and breakfast with our package and the food was excellent. The hotel was packed and that says it all. We had a nice spacious, quiet room on request and it certainly was quiet and we had a very nice relaxing break and will definitely return in the future and will recommend it to others. A big "thank you" to all the staff. 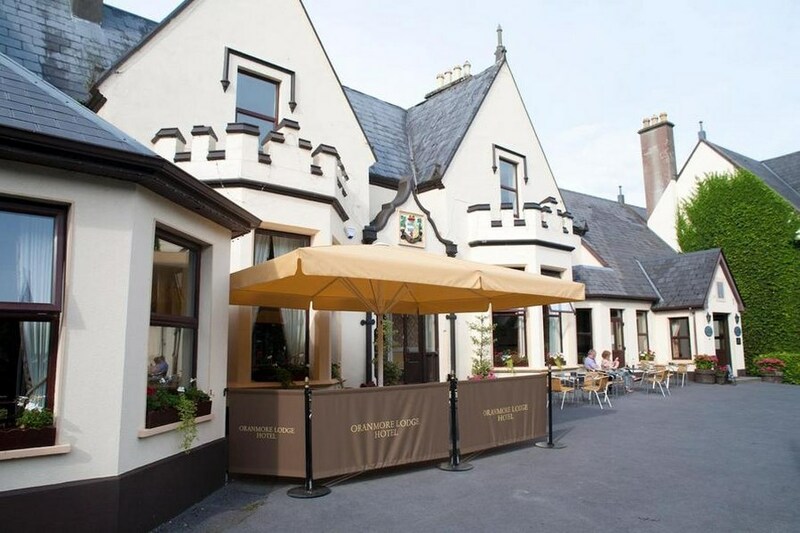 I spent one night in the Oranmore Lodge Hotel. The staff were very friendly but the room was small and in need of updating.Breakfast on Sunday finished at 10am which is early for a weekend. The night porter was excellent. We checked in very late on Friday 13th and he was very accommodating and welcoming. The breakfast on Saturday morning was very enjoyable. However, the fact that the breakfast is served only until 10am on Sunday morning is definitely a factor that would prevent me from booking this hotel again for a group. The breakfast should be available until 11am on Sundays. Finally, we spent up to 900 euro on accommodation during our weekend stay at the hotel. One booking needed to be cancelled within the 48hrs period and a full nights stay was being charged for this. I did speak to the Manager and she adjusted it to 50% charge, I still felt that due to the total cost spent at the hotel it would have been a good will gesture not to charge the 50 Euro at the end the day. bedroom very small,number 318.one locker beside bed and mattress has seen better days.my partner couldn't sleep because of it.the window in the ceiling had light coming in at first light which didn't help either.the food was excellent though.couldnt fault that. We had a lovely stay in Oranmore Lodge. The staff were very friendly and were very accommodating when we wanted to eat our pre-booked dinner in the bar instead of the restaurant. We also enjoyed spending time in the leisure centre. We really enjoyed our recent break. My seven year old son loved the swimming pool. The hotel was spotless. The staff were welcoming and courteous. The bedrooms were clean and well serviced. We loved the bar food and the breakfast was tasty and plentiful. This was our third and won't be our last! This hotel was ideal for a couple with a young baby (11 months). The staff were friendly, courteous and very good at their jobs. They could not do enough to help. The room was lovely and had two double beds which was what we requested. Everything was clean and comfortable. The swimming pool is about 10 steps across the yard which I wasn't aware of but since it was so close, it was not an issue. Towels are provided at the pool which is great. Again, the staff in the leisure centre were very friendly and helpful. Food was delicious and the restaurant and bar have a lovely atmosphere. There were lots of other families there so it was easy to bring the baby to dinner. Overall, we had an excellent experience and would return. It is only 10 minutes drive for Galway city centre and about 15-20 from Salthill. Had a fantastic city weekend break with my wife at the Oranmore Lodge Hotel. Staff very friendly and helpful. Room very spacious and the beds very comfortable. Lots to see and do in the area plus only a short distance from Galway City where you will have good shopping plus a great selection of bars, restaurants / cafe's. Well worth it and I will be planning a return trip later this year for sure. Hotel room lovely and staff very helpful. Food excellent . The only down side is that this hotel could do with a little spent on decor. It's a little dated. Lovely spot, hotel staff were very welcoming, rooms were nice and clean. There was a works Christmas party on the same night that we stayed, most of them were in the bar area before the party started and yet the barman always ensured that we were served in a timely manner. Can't remember the chaps name, but was very professional. Pool and Spa area albeit small was more that adequate and nice and quiet. Would definitely stay here again. Great value, friendly staff and good food. The hotel is a bit dated but very clean. Firstly I like to say on arrival I wasn't very impressed with the outside as it looked dated and gruby and in need of refurbishment. When we checked in the staff were very friendly and reception was nice. Room nice. Back oddly shaped/layed out so everyone wants to sit at one end were the t.v. is and the rest of the bar is empty. Food was very disappointing and we felt it was left overs from the luch earlier and the chicken was overcooked. It didn't help that they never changed the menu one bit for the following evening so you had to pick the same again which was very strange as most hotels would even change the menu slightly. Staff very friendly and helpful. Also very put out that on the Saturday night while having a drink in the bar we were asked to leave because there was a party of 200 people coming and the bar was reserved for them so we had to sit in the breakfast room. Not very comfortable. My husband requested an omelete on the first morning and was told they couldn't make him one. The fact that you have to leave the lodge to go for a swim is awful especially in the cold weather. Showers in the swimming pool were filty and never cleaned, hairs on wall and awful smell and no heating in the dressing rooms. Not a 3 star...maybe a 2 star. hi, Stayed for one night in a family room. Positives: Receptionist (Tara) on check in very welcoming and helpful, nice room in a quiet part of the hotel which is what we requested, room had a fridge and a microwave which as anyone travelling with a toddler knows makes a difference to any night away!! Ate in the restaurant in the evening, lovely staff especially Bernie (think that was here name)and the food was fantastic, we really enjoyed it. Negatives: Hot water in bathroom was scalding hot, really need to have a sign up to warn you before you turn on the water, mentioned this to receptionist when checking out so hopefully they will resolve this. No heating in the room during the night, no matter what way we turned the thermostat we could not get the heat to work, as we were travelling with a very young child we did not want to call reception as to do so would have disturbed her sleep. Really busy at breakfast, breakfast was nice but it was crazy busy get down well before 10 to get a table. Leisure centre was ok as one reviewer has already said it definitely needs an overhaul. Overall my family and I really enjoyed our stay at the Oranmore Lodge and would return again, the staff were nice, the room was comfortable (apart from it getting chilly at nite!!) and we will definitely be back again. Had a great night in The Oranmore Lodge. Ate in the restaurant and the food was very nice. Looking forward to booking again. Only issue was the queue for breakfast, I would recommend going earlier then 10am. Booked a 3 night stay 2 adults and 2 children for last week. On arrival we booked in rooms are nice and hotel lovely. However after using the Leisure Center which has cold showers and during the 3 day stay never got any warmer. We then went into the bar to get a sandwich as we had got lunch on the way down and were told that this was not possible as they strictly serve what is on the bar menu and no sandwiches. Therefore we left the bar and never returned to eat there for remainder of stay. Would have thought that any hotel would serve a sandwich!!! Stayed here in October with my elderly mother. Right from the initial booking we were looked after really well. Tara at reception couldn't do enough for us. Our room was comfortable and extremely clean. The fridge and microwave were a welcome inclusion. We only ate light meals in the bar, but the service was good. I used the leisure centre for swimming and sauna in the mornings. 5 adults filled the pool really as we all wanted to swim lengths. Overall I thought the leisure centre could do with an upgrade. It's not very accessible for people with limited mobility. Likewise the hotel itself has a few steps which could be difficult to negotiate. However, we were offered an alternative room for breakfast if we needed it. As I said, the staff couldn't do enough to help. I'm just saying this in case it's relevant to other guests. It's a lovely hotel and I would stay again. its hard to believe this Hotel is 4 Star. it really needs revamping in a bad way. Old, stale and fusty feel and smell to it. Bathroom very basic, and towels need replacing at this stage. No lock on bathroom door. Breadfast room could not cater for the numbers, felt sorry for staff who seemed under pressure. We were moved to the dining room for breakfast which I was quite glad of as the breakfast room was stifling and stuffy. Had evening meal in the dining room, food was excellent, but again room had a fusty smell to it. One issue which hugely irritates me and has happened in hotels before, on booking this hotel I asked for a large room as our group was grandmother, mother and daughter as opposed to 'traditional family'. My daugher e-mailed before we went and again requested this. We were put in to a small room with 2 beds!! Without unpacking my daughter approached reception and again made our request, pointing out the child was 12 years old!! Receptionist looked at her blankly and said 'you requested a ground floor room' NO WE DID NOT. We were then moved to a room with three beds. Sorry to the nice staff of the Oranmore Lodge who work hard and are reasonably pleasant but we will not be returning here. Hotel staff very friendly, especially the two young men in the bar/restaurant. We stayed in a family room - two doubles which suited us, the hotel isn't as flash as some we have stayed in, but it had a fridge in the room that we didn't request. Kiddies pool and pool in general great for us, our babies are 2&3 and they loved it. Overall an enjoyable stay, no complaints, would visit again. Great location if you don't want to stay in Galway city, with a cinema, bowling centre, kiddies soft play area all within 5 min drive of hotel. Lovely hotel, staff very friendly and the food was great. We had a lovely dinner on Saturday night a very good choice for breakfast on Sunday morning. We had a lovely big room, but it was dark and the furniture was very old and dated. It was great to relax in the pool on Sat afternoon and look out at the wind and the rain. enjoyed the one night myself and wife stayed ,staff very friendly and meals were very good ,no problems .Fridge and microwave in room we were allocated was very welcome ,wish other hotels would follow.Allin all a good experience. My daughter (nearly 4) and I stayed in a family room with my mum also. We had a lovely 2 night stay with one evening meal. We found the hotel to be very comfortable, friendly staff, and great food, good value also. We made use of the pool, which was lovely, but needs some updating. Overall we really enjoyed our time in Oranmore, and would go again. Excellent value in the Oranmore Lodge. A spacious, clean room, fine breakfast and helpful staff. This has been my second visit here and I've thoroughly enjoyed both, a little gem of a hotel that offers probably the best value to be had in that part of the world. Lovely week-end in this hotel.Roomd big and spacious.Staff friendly food average.Breakfast ample . One let down lady at reception very unwelcoming and unhelpful. The hotel is in a lovely setting and has a lovely feel about it.Leisure center perfect . Will return. Hotel was lovely as was the setting.Food average.One thing which left the hotel down was the lady on reception whether it was the language barrier or just her abrupt manner it left a lot to be desired and left one feeling as if they had done something wrong. Hopefully you won't need to visit reception with a query.Most of the other staff were lovely and helpful. It is however a lovely hotel and we will visit again. Very nice hotel, staff in every section was helpful, happy and considerate , we got a upgrade to the bridal suite which was very nice and cosy with the gas fire, needed after the weather turned into a winter rather than summer day, the food was excellent especially the fish dishes, the breakfast was a little of a let down, but quite ample all the same, would return. Nice Hotel and kids enjoyed the swimming pool. The breakfast was fine but I thought the choice was limited and dining room very small. Also we could not get Wi Fi to work with codes we were given but apart from that enjoyed the stay. Very nice hotel, food pretty basic, but tasty, rooms very clean, leisure centre nice as well. The only thing which I found disaster, was the activities on Easter Sunday morning for the kids. My son was crying coming back from it. Very unprofessional and I have to say very unfair for the kids who didnt get help from the parents with the activities. How come 6 months old baby picked up the stickers from the bar quicker than my 5 years old??? Other than that, everything was very good.